Welcome to Gulf Shores Construction. 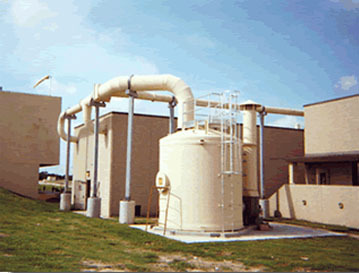 We specialize in the installation, fabrication, repair and maintenance of non-metallic piping, ventilation, and structural products. Although incorporated in 1996 our management team and field crews have many years of experience with these products. Our philosophy is simple: We concentrate on the non-metallic markets because we discovered over the years that many traditional construction firms do not have the special tools, expertise ,and experience to work with Fiberglass and Thermoplastic materials. Our focus on these products has made us the best in our industry. Gulf Shores Construction can provide construction management experience, field responsibilities as a prime contractor or subcontractor, or assistance to your engineers in design and specification requirements. Our experience includes but is not limited to PVC, CPVC, PP, HDPE, PVDF, TFE, FEP, and FRP. 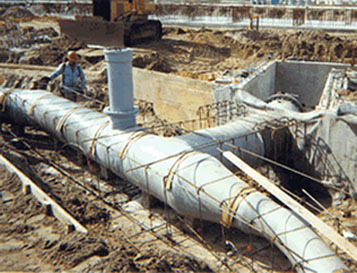 Please consider Gulf Shores Construction anytime you have a non-metallic process piping, ventilation, or drain project. We also have an excellent track record constructing and installing fiberglass walkways, stairs, or structural members. Don't delay call us today! 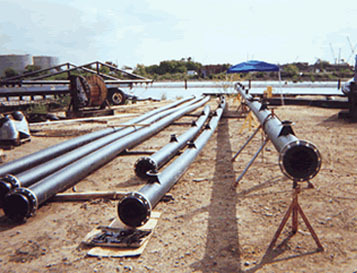 Our unique supplier arrrangements allow Gulf Shores Construction to be your one source for material and labor to provide you with a turnkey quotation for every project involving non-metallic material. 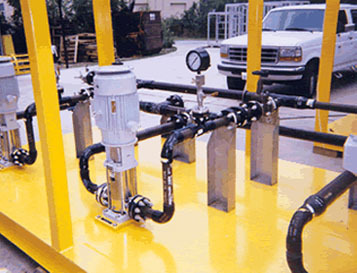 Don't trust your projects to just any contractor; choose the one that specializes in corrosion resistant non-metallic thermoplastic and thermoset (FRP Fiberglass) materials. Choose Gulf Shores Construction.